Last week I got a pedicure. It was only the third professional pedicure I have ever received. I like to think one day I'll be the type of person who regularly receives pedicures. People who regularly receive pedicures have the details of their life put together. They dress nicely, always match, and wear the right amount of accessories. They also wear perfume. One day I would like to be an elegant adult who has all the details of my life put together. Unfortunately, I'm lazy and poor, so I'll have to gradually take on that personification. Regardless, this ice cream was delightful. 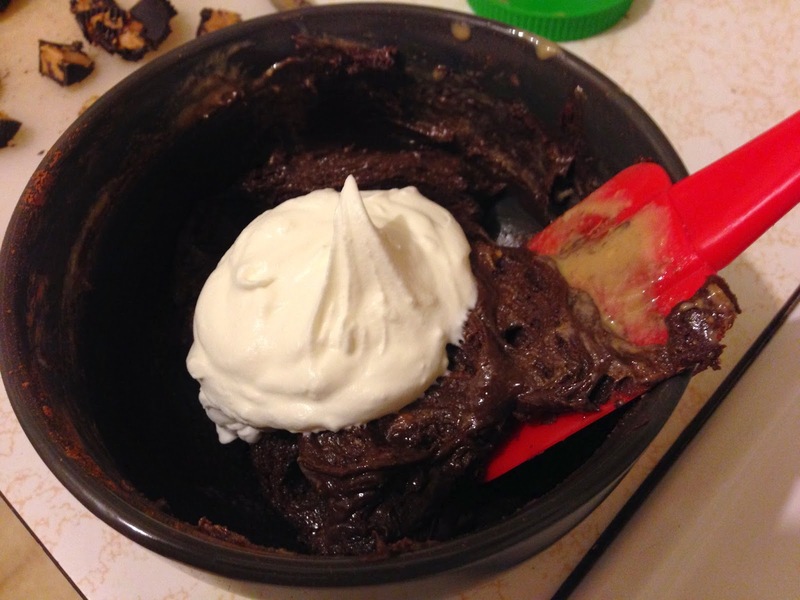 It was a little richer then the other ice cream I made because of the peanut butter. 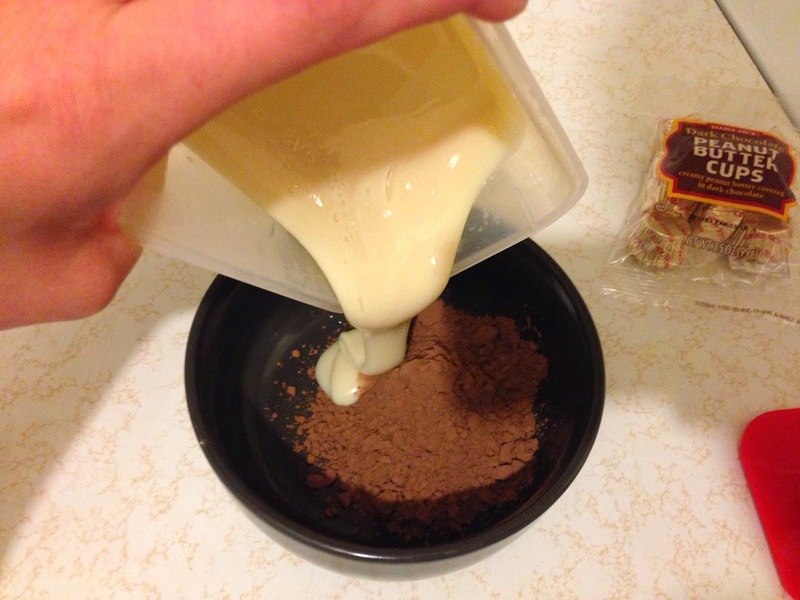 The ingredients are 1/2 cup and 2 tablespoons sweetened condensed milk, 1 cup heavy whipping cream, 6 tablespoons cocoa powder, 1/4 cup peanut butter, and 9 small peanut butter cups. 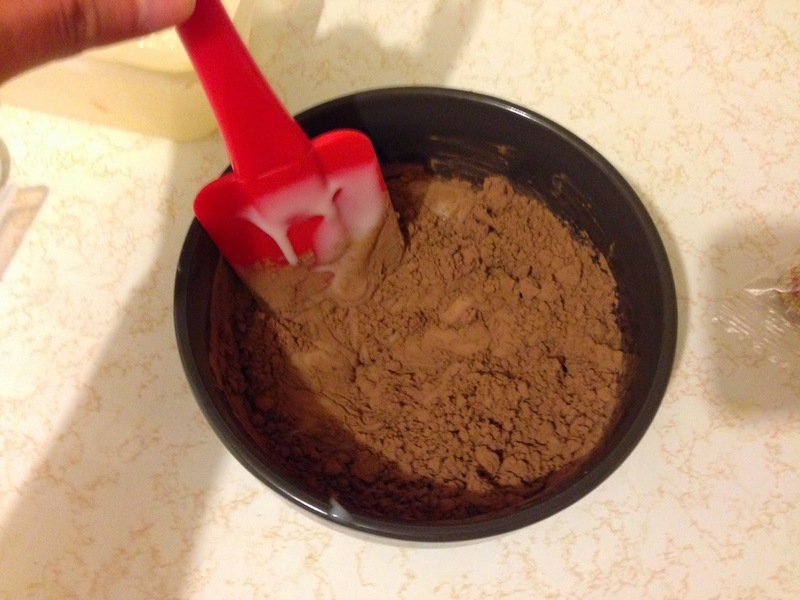 I combined the cocoa powder and sweetened condense milk. 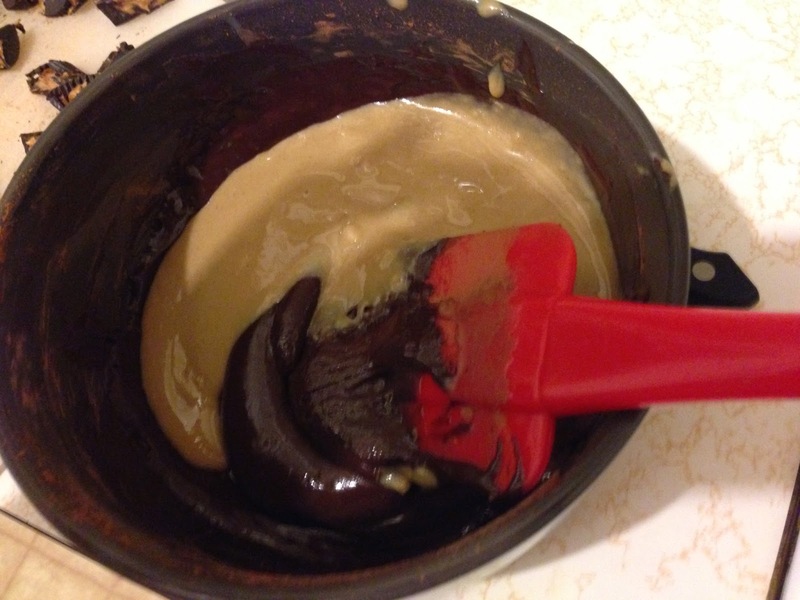 I stirred it together until it was a thick, chocolatey paste. 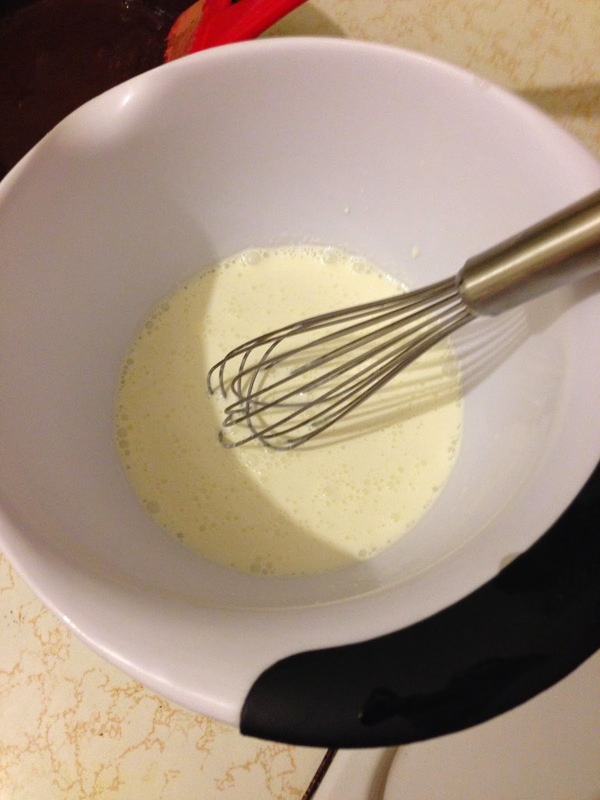 I whisked the whipping cream until stiff peaks formed. 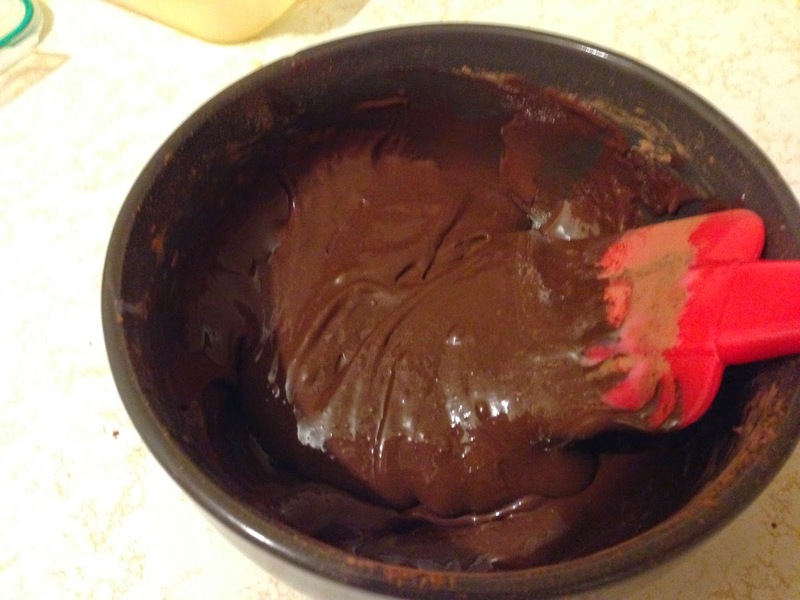 I added a whisk-full of the cream into the cocoa and sweetened condensed milk and stirred it together. 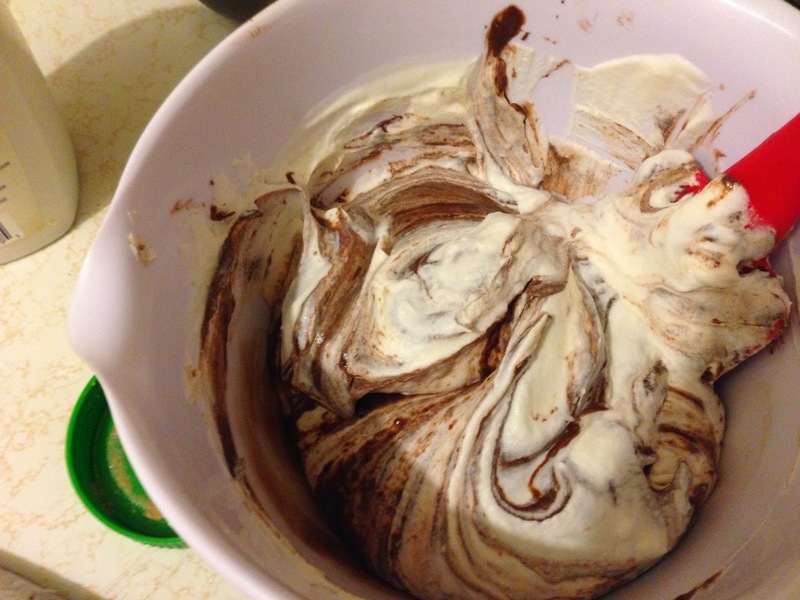 I then poured this peanut butter, cocoa powder mixture into the whipped cream and slowly folded it all together. 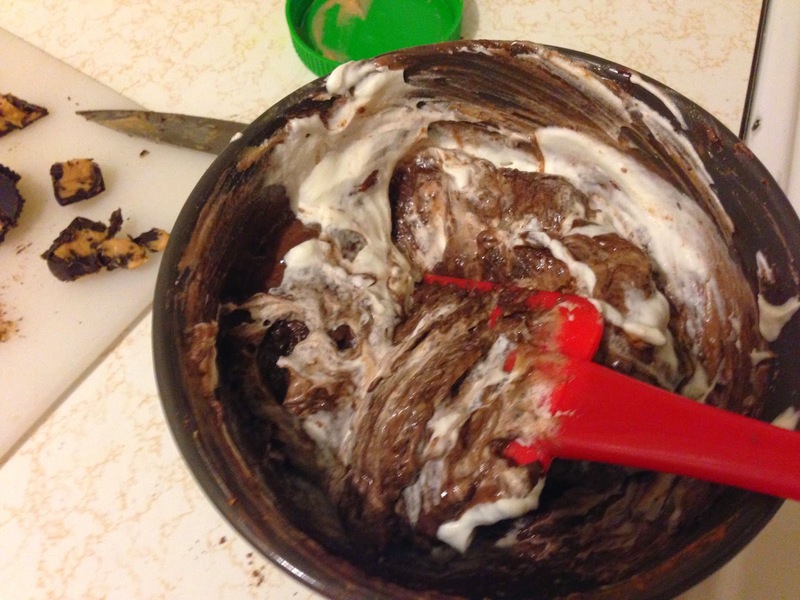 I added the chopped up peanut butter cups and folded them into the chocolatey cream. 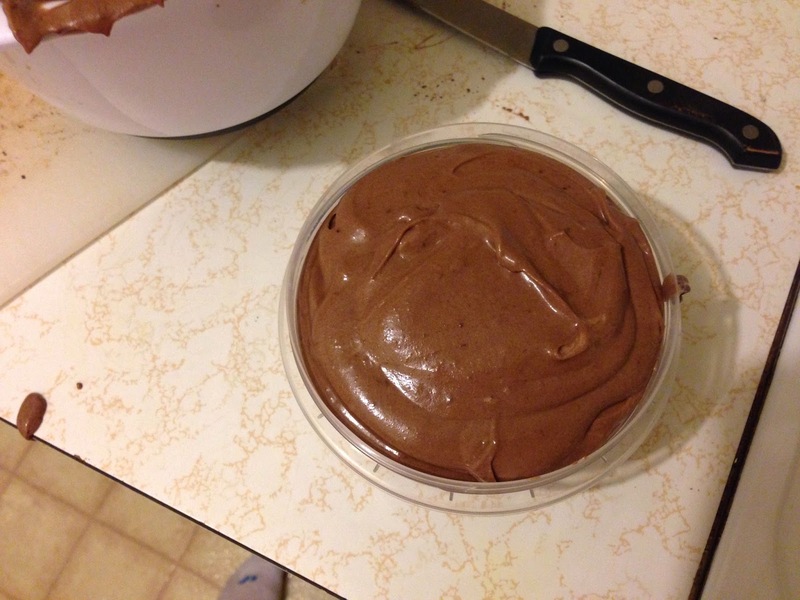 I poured the ice cream into a plastic container with a lid and put it in the fridge overnight. 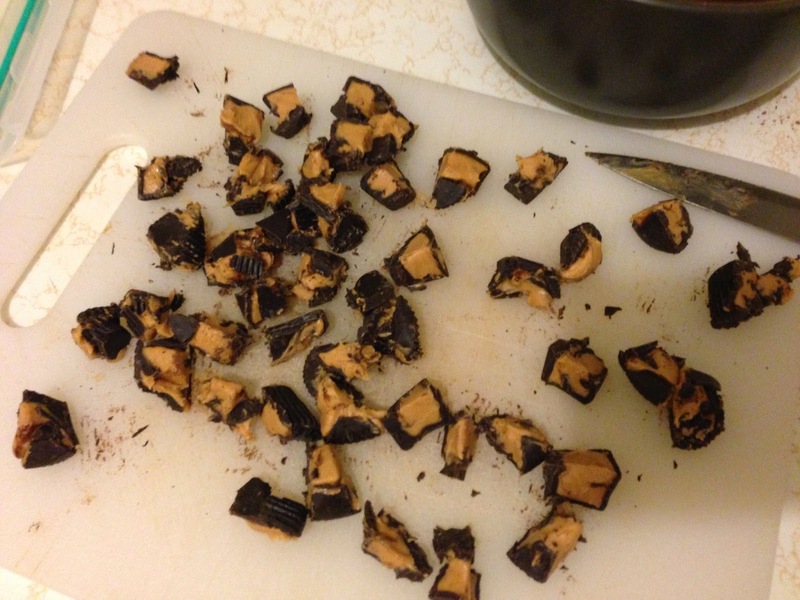 This peanut butter version was a little richer and creamier. I think the peanut butter added a little extra fat. The peanut butter flavor was very subtle. I would add another fourth of a cup. I'm surprised I could complain about peanut butter cups, but they became very hard in the fridge. I would cut them up smaller. Complaints aside, this was excellent ice cream. 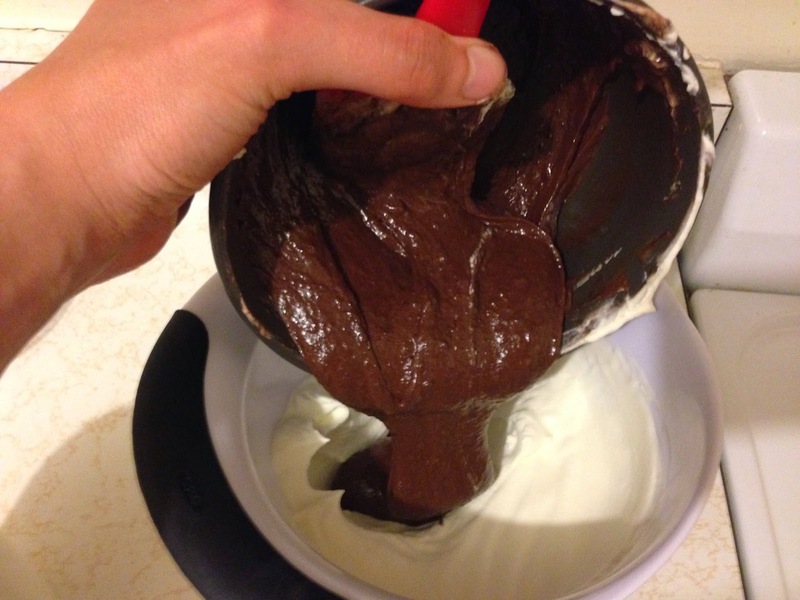 This recipe make a very strong chocolate ice cream. 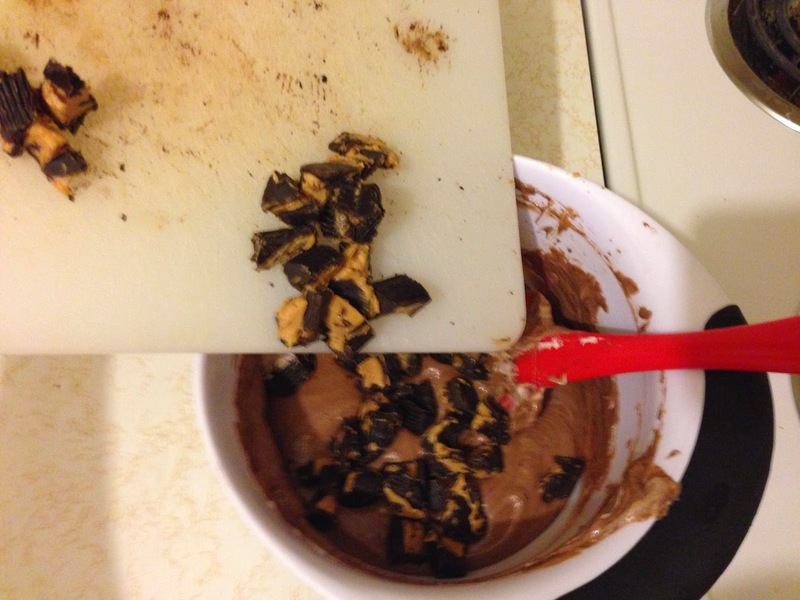 Adding peanut butter cups and peanut butter makes it even more pleasurable.